Established in 1753, the Accademia dei Georgofili is the oldest institution in the world for the study of agriculture, and is supported by the Ente Cassa di Risparmio di Firenze through a standard agreement. It has conceived and promoted the “global food safety” project, which was also selected for Expo 2015, which concentrates on food safety, quality and health, paying attention to primary agricultural produce and to consumers. Its purpose is also to highlight the links between environmental protection and agricultural activities, focusing on innovation in agricultural production techniques, the evolution of food consumption and agricultural land given over to new non-food production. Several agricultural companies have been analysed, as well as earnings, the criteria for application of the GDP to food chains, the evolution of the geopolitical context and the strategies currently employed for global food production. 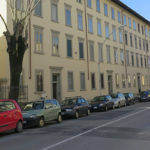 The Academy is also concerned to enhance its valuable library heritage originating from the important book heritage of the Cavallaro and Garavini fonds through restoration activities and the cataloguing of periodicals and antique miscellanies from the aggregated archives of the Reda fond. 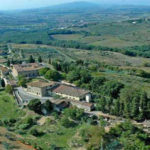 The census, identification and summary indexing of the archives of farms existing in Tuscany is currently in progress. The Academy’s activity of analysis and research is carried out at international level through multiple initiatives: the creation of study committees, the establishment of research groups, the assignation of project-based contracts and/or research grants and the organisation of events. The publishing activity of the Academy is also carried out in digital format and is intended to make its intensive research activity known to a broader public, also through the printing of the proceedings, the ‘Quaderni’ supplements and specific monographic works. The work of the Academy is addressed first and foremost to scholars and researchers in various disciplines including agricultural science, forestry, food science, zootechny, economics, law, environmental, social and political sciences, as well as to non-experts with an interest in these fields.